Sued by a payday loan direct lender? Here's what to do. Are you being sued by a direct payday lender? Here’s what to do. One of the most common questions we receive is from consumers who may have defaulted on a payday loan in their past. Oftentimes these consumers receive calls and letters from companies that claim to be direct payday lenders. These consumers are understandably scared and confused because they’re being threatened with legal action and harassment. However many of them have done nothing wrong! In this weeks blog post we’re going to explain how to best determine if your past due cash advance is legitimate and how to handle the process from there. Are you being sued or served papers by a company claiming to represent one of the large direct payday lenders? The first thing you need to do is take a deep breath, step back, and find out exactly where you are in the process. The first question to ask yourself is if you’ve even taken out a cash advance or installment loan in the first place. If you have taken out a loan from a direct payday lender then determine whether you paid back the full amount or not. That seems trivial, but it’s important. Many bill collectors and scam artist will often call on people who only inquired about taking out a payday loan in the past. Their goal is to scare you into paying them money for debt you don’t even owe! Assuming the debt is valid and you’re behind on the payday advance. You’ll next want to determine if you’re being sued or not. How were you informed of a potential lawsuit regarding a past due payday loan? Did you receive a certified letter from a law firm saying they are suing you for a specific past due payday advance? Or, did a bill collector tell you over the phone that you were “going to be sued?” Quite often bill collectors will harass you and use scare tactics as a way to get you to make a payment for an uncollected payday loan. Indeed you want to take note of the bill collector’s threat of a lawsuit, but that’s usually where it ends. Unless you receive a certified letter from a law firm detailing the lawsuit you are not being sued. First confirm that you’re actually being sued by one of the legitimate direct payday lenders. Applicants in the US you need to ask themselves a few two questions. Is the payday loan debt valid, and is it still within the Statute of Limitations for the state you live in? To find out if the debt is valid you need to ask yourself if you took out the payday loan and failed to pay it back in full. It may be that you’re a victim of identity theft or overall incompetence by the original direct payday lender. 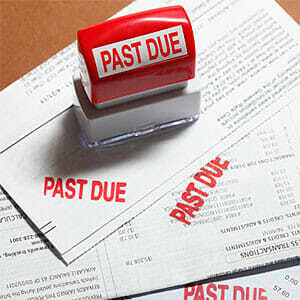 If the debt is valid you want to check the Statute of Limitations for your state. Keep in mind that Statute of Limitation time frames vary depending on your state. For example, in Delaware, you have three years, and in Indiana, you have ten years until the time expires! If the time in your respective state has lapsed the creditor cannot sue you to recoup the cash advance you originally took out. Direct payday lenders and bill collectors have a limited amount of time to sue debtors for nonpayment of payday loans. At this point the most they can do is harass you by sending threatening letters and making phone calls until you instruct them to stop. Another thing you’ll want to do is to see if payday loans are even legal in your state. Direct payday advance companies will often lend money to consumers without regard for the state you live in. For example, if you live in New York it is forbidden for any companies to offer you a payday loan. California and Texas on the other hand have thousands of online and retail lenders spread throughout the state. If the debt is valid and the Statute of Limitations has not lapsed, you’ll want to do all you can to prevent this from going to court. Contact the original direct payday lender and try to negotiate a settlement with them. Many companies that provide the most trusted payday loans online will want to work with you. Short term lenders will do all they can to avoid a costly and lengthy court procedure. They would rather have the money upfront than have to wait years even if they have the power of a judgment. Do all you can to settle this payday loan debt before your court date. If your case ultimately goes to court you will lose. To make matters worse you’ll end up owing a lot more money. Court costs and legal fees will be added to the original amount owed when you first took out the payday loan!